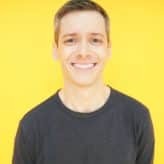 Addison Anderson is a New York comedian involved in film, sketch, improv, standup, and voiceover. He cowrote, co-produced and starred in Trivia Night, which won Best Feature at the Omaha Film Festival. He has made over 100 sketches with Local Empire, explained the universe as the voice of TED-Ed, serenaded stoners in 420 The Musical, written a bunch of screenplays, pilots, and packets, studied at the UCB, PIT, Atlantic Acting School, and Linklater Center, and does all sorts of things in front of and behind the camera and on stage. He's originally from San Francisco, and one time the mayor blew hot wax in his face.